In April 2010, the City of Bothell kicked-off its Downtown Revitalization Plan with a $150 million public infrastructure improvement project. 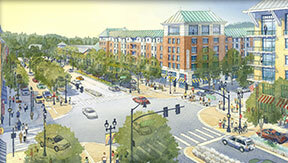 By 2025, Bothell aims to have a pedestrian-focused, mixed-use downtown environment that is reconnected to the Sammamish River. 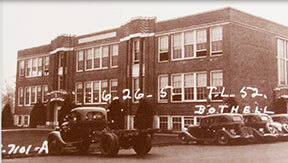 Built in 1931 and located on the main highway into downtown Bothell, the Anderson School is a key part of the City’s revitalization vision. The original building pictured here will be transformed into a 73-room hotel. Anchored by the hotel, adjacent buildings will house restaurants, small bars, meeting and event spaces, brewery, a first run movie theater, spa and community soaking pool. Outdoor spaces will include gardens and gathering spaces. Indoor and outdoor live music (free to customers) will be offered several nights a week. An on-site brewery and casual pub with shuffleboard and pool tables calls back to the roots of McMenamins and will create a gathering place for friends and neighbors. An indoor swimming pool facility will be converted into a community soaking/swimming pool and full-service day spa with professional massage services. The Anderson School will be located adjacent to a new city center and just blocks from the planned Park at Bothell Landing on the Sammamish River. Adjacent to a planned city center and new City Hall on the main highway leading into Bothell, the Anderson School is geographically and ideologically at the core of the City’s revitalization plan. The historic school built in 1931 as Bothell Junior High School is being reimagined as a mixed-use gathering place and iconic Pacific Northwest travel destination, filling a neighborhood need for a welcoming community center (and then some) at very little cost to the public. Local history will come to life through original site-specific artwork in hallways and hotel rooms, friends will meet for a movie and a beer made onsite, community green space will reconnect the property with Horse Creek, and City of Bothell residents will use the soaking/swimming pool and dedicated community room at no cost. If the success of McMenamins’ other locations is an indicator, the Anderson School will enhance community livability by creating jobs, utilizing local artists and helping to fuel nearby real estate development. Download the full Anderson School design packet by Ankrom Moisan Architects. Brothers Mike and Brian McMenamin are inspired by projects that create a sense of community, rehabilitate important historic structures and ultimately have a positive impact – so much so, they made it the focus of the never-ending eclectic world of McMenamins. 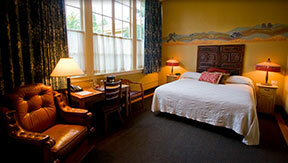 With more than 30 years of experience and 52 locations, McMenamins’ proven approach is to create mixed-use spaces that showcase local music, original art and history, and are anchored by a hotel with restaurants, unique small bars, meeting and event spaces, breweries, movies, day spas, soaking pools, gift shops, and vegetable/herb/flower gardens. With a focus on sustainability and vertical integration, McMenamins produces many products from scratch including its own beer, wine, spirits, coffee roasts, and baked breads and pastries. As with all new projects, the McMenamins team has already begun the process of researching the history of the people, building and place, encouraging community members to begin exploring their historical photos, mementos and memories of Anderson School. In-house artists will bring local history to life on every available surface, from walls and ceilings to pipes and knobs, as the restoration gets underway. Recycled and salvaged materials will be used as much as possible throughout the project (i.e. wood paneling, architectural details, light fixtures, paint, etc. ), and purchasing energy efficient equipment is a priority.